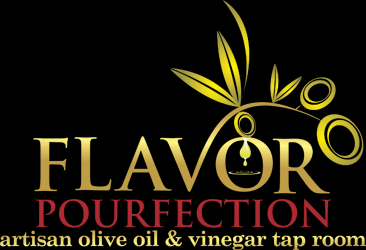 Located in the beautiful downtown historic walking district of Winchester,Virginia Flavor Pourfection is an artisan olive oil and vinegar tap room, the first of its kind in the immediate area. Our mission is to educate and personalize each customers shopping experience. Our one on one tour of our store will take you through the origin, chemistry,and harvest date of our oils and offer the perfect pairing of our vinegars. We offer premium extra virgin olive oils and specialty vinegars on tap to create the unique concept of tasting before you purchase so you can experience first hand how quality makes all the difference. We bottle your selections on site at the time you purchase to ensure freshness. Our oils are harvested from both the northern and southern hemisphere so that we are constantly receiving the freshest oil in the world. Our balsamic vinegars are exclusively from Modena Italy where they are aged to perfection. We are taking the risk out of buying oil and vinegar. We have moved 400 feet! Our new store is located at 17 S. Loudoun Street (still on the walking mall). We are working as quickly as possible with the city to open. Once we reopen, we are also working to provide curb side pickup from our old location as well… stay tuned for updates. Check back for a new flavor to be posted soon. Flavor Pourfection is independently owned and operated by Allison and Kevin Blahut, together this married couple bring their joy of cooking,love of eating good food and passion for a healthy diet to this unique specialty store.